After my article last week on the 10 reasons to support nuclear power I wanted to write about the future technologies (fast breeders, thorium and fusion) as I was ending my article on that very topic. But before doing that I would like to provide you this week some historical insight on nuclear physics and power as well as an overview of the current nuclear market and technologies. Nuclear fission was achieved less than a century ago (1934). I am confident that nuclear energy will significantly change during the next decades as well. Nuclear energy originates from the works of many scientists between 1895 and 1945 on atomic radiation which was first called radioactivity by Marie Curie. She was awarded with her husband and Henri Becquerel the Nobel Prize in Physics in 1903. Decades and discoveries followed afterwards until Enrico Fermi, an Italian physicist who first achieved nuclear fission in Rome in 1934 as his team bombarded neutrons on uranium. 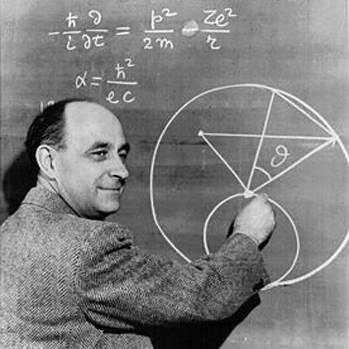 Fermi later was awarded at age 37 the Nobel Prize in Physics and emigrated to the United States where he participated in the Manhattan Project after building the world’s first reactor (Chicago Pile-1). The Manhattan Project is a central element of the history of nuclear energy as many scientists worked on nuclear fusion in the United States to develop the atomic bomb. The 1950s saw the first reactors being built in the United States (1951), Russia (1954) as well as United Kingdom and France (both in 1956). The oils crisis of 1973 spurred growth of nuclear capacity in Japan and France as this energy source was seen as an alternative to oil imports from OPEC countries. During the next decades – 1980s and 1990s – nuclear capacity increased at a lower rate for many reasons. Costs rose significantly because of increased safety measures and regulations. Both Three Mile Island (United States, 1979) and Chernobyl (Ukraine, 1986) incidents increased fears inherent to this energy source and seriously decreased the amount of built reactors. To conclude this part : nuclear energy is still in its infancy with nuclear fission and significantly progressed for the past decades. I have no doubt that it will keep on being improved in terms of efficiency, safety and costs. – e-How : What is the History of Nuclear Energy? 15 percent of global electricity comes from over 430 reactors in 31 countries. Within the European Union and Japan, 30 percent of the electricity comes from this energy source. The United States in comparison gets 20 percent of its electricity this way. Today nuclear seems to be making a comeback as the IAEA forecasts 60 % more nuclear plants by 2030. Around sixty countries are willing to go nuclear to generate low carbon electricity. This can be explained by the booming energy demand in developing countries and climate change mitigation. As an example of this China is willing to multiply by ten its capacity by 2020. 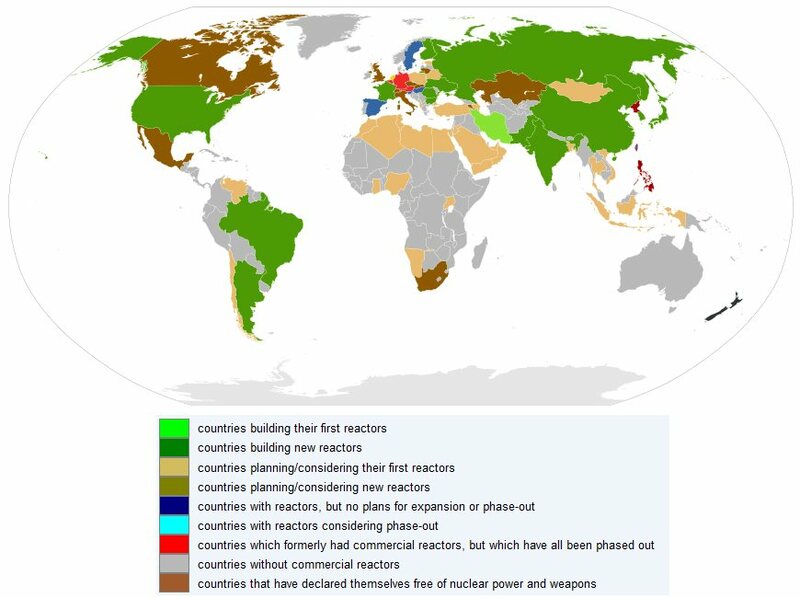 Below is a map of countries currently having nuclear plants and others willing to have some in the future. There are currently two main types of reactors : Pressurized Water Reactors (PWR) account for around 60 percent of the amount of reactors installed and Boiling Water Reactors (BWR) account for 23 percent. (cf. this little guide for more on the different technologies). Next week we will have a look at the three main future technologies : fast breeder reactors, thorium and fusion. So for this and for much more stay tuned !